Believe it or not, there are many people that have some type of sleep apnea and they do not even know it. If you have sleep apnea and you do not know it, this can be a very serious problem and can even be fatal if it is not treated properly. When a person has sleep apnea, it is more than just that the person is snoring a lot and is being bothersome to others while they are sleeping. When a person has sleep apnea, they are actually having short periods of time when they are not breathing while they are sleeping. The degree a person has sleep apnea will vary from person to person but the problem of possibly having sleep apnea should not be ignored by any means. What Should I Do If I Think I Might Possibly Have Sleep Apnea? The first thing that you should do if you think that you may possibly have sleep apnea is to not freak out. When a person does find out that they have sleep apnea, it is very treatable and most of your friends are not even going to know that you have sleep apnea. There are many people that have sleep apnea and live very long and healthy lives. There are people as young as 20 years old that have sleep apnea and there are others that are in the senior years that have sleep apnea. You need to schedule a visit with your primary care physician so they can talk to you about your sleeping patterns and snoring issues. Your primary care physician knows you and he or she will be able to let you know if he thinks you need to look any further into you possibly having some type of sleep apnea. 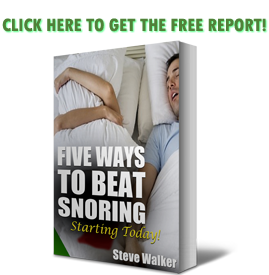 Your physician will also be able to provide you with some good literature about sleep apnea. If your primary care physician does feel that you need to go to a sleep doctor, he will refer you to one that is hopefully on your insurance plan. Almost all sleep doctors are going to be covered on most of your major health insurance plans. A sleep doctor is an important doctor; they are just a specialized doctor, such as a cardiologist, who looks after a person's heart. If your primary care physician does want you to go to a sleep doctor, you need to make sure he gives you a referral to the doctor so you will be able to get in easily and quickly with no complications. Once you get a referral from your primary care physician to visit a sleep doctor, you need to try to make the appointment as soon as possible. Many times, these doctors are hard to get into for an initial visit, mainly because they are very specialized and there are not a lot of these specific doctors. At the initial visit with the sleep doctor, you are mainly going to be filling out a lot of forms and speaking with the doctor and/or nurse about your sleep patterns and snoring issues. You do not need to be scared about the visit and need to truthfully answer all of the questions that you are asked. You will also be shown a video about people that sleep with apnea machines. The videos are very informative. The video will show you the procedures in having your sleep studies completed and will also show you how people live with using the machines every day. At your next visit, if needed, you will then come into the office and spend the night while hooked up to sleep machine. The sleep machine will monitor you while you are sleeping. You do not need to do anything special for this sleep study visit except try your best to sleep while you are there for the entire night. After you wake up in the morning, you will be free to go home once you are unhooked from the sleep monitoring machine. After your sleep doctor looks over the results of your sleeping patterns, he will then discuss with you his findings of the sleep study. The sleep machine will be able to tell the doctor how many times you stopped breathing while you were sleeping and the length of time for each period of time that you stopped breathing. Depending upon the results, the doctor when then let you know if you have sleep apnea or not. If he feels that you would benefit from a CPAP machine, he will let you know. If he thinks that you will benefit from a sleep apnea machine, he will then want you to come in again for a study to sleep with a sleep apnea machine on while it monitors your breathing patterns. At this visit, you will wear a CPAP mask while you are sleeping for the night. For many people, the machines are very scary and uncomfortable. You are going to have to try to sleep your best while you are at the sleep study. The doctor will then look at the results to make sure that the sleep apnea machine is working well for you. If you do indeed need the machine, the doctor will give you a prescription for a CPAP machine. If the doctor wants you to have one, you need to take his advice and get a machine. The machines are very compact, convenient, and easy to use. You are going to have to get use to the machine but you will be amazed with how you feel once you get use to wearing it. A professional will completely explain to you how to use and maintain the machine; some of them even coming into your home to help you use the machine at first. Whatever the results you find out from your visits to your physician, you need to not be discouraged. Many people live great lives while they sleep at night with a sleep apnea machine. If your doctor does not give you a sleep apnea machine but you still feel there is a problem that needs to be addressed, you need to talk to him about other possibilities.